Do me a favor, if you will. While you’re reading this, put yourself in the paws, so-to-speak, of an animal who is about to go through what I’m going to be describing here. Put yourself in the place of an animal (whether it be a cat or a dog, a puppy or a kitten) whom, despite the efforts of a rescue group to network it, has not been fortunate enough to find a foster home, or their “furever” home. A shelter staff member approaches the cage that you’re in, opens it, and either walks or carries you to a room, and places you on a cold table. A licensed technician or a veterinarian prepares a syringe with a sedative to calm you; and another drug to kill you. While it is probably safe to say that the staff has developed an attachment to you and is saddened that you’re being euthanized, you die without even having a loving owner to help comfort you and hold you while you take your last breath, while your eyes close for the last time. And, if the euthanization is botched (rare, but it does happen), you will be experiencing pain and fright during your last moments. Or, in the case of some facilities, they might come to your cage/kennel; possibly getting your hopes up of being let out, and give you the injection right there. Either way, you’re dead. You die without having done anything wrong. You die because there simply is not enough room for you at the shelter you currently reside in. You fall a victim to overcrowding. And even before that takes place, you’re stuck in a cage. The only respite you get is when your cage is being cleaned, or when a volunteer takes you for a quick walk; or lets you out to play and run for a bit. But for the most part, you’re stuck in there; with little to no interaction… Again, a victim of overcrowding. Overcrowding can and will be the result of a few different factors; such as an owner not taking proper care of and/or abusing the animal. But, the more prevalent reason is this: not nearly enough people are taking the time to spay or neuter their pets. In a recent telephone interview with Diana Barrett, manager of the Sutter County Animal Services Shelter, I did learn that they, in the last three months, have not had to put down any animals due to overcrowding. The animals they have put down were either too aggressive, or they were too sick. Needless to say, while I was saddened that any of the animals had to be put down, I was happy that none of them had been killed because of no more room. This is not to say, however, that they are out of the woods in terms of overcrowding. According to Barrett, there is a waiting list of owners trying to bring their dogs in. I can only (naturally) assume that they are surrendering their animals for a variety of reasons. And, the shelter takes in approximately 3500 animals per year. Due to the population in this area increasing; the likelihood of more animals being taken in will also increase. Barrett broke it down to about one-third of the households in the U.S. having pets. Can you imagine the number of animals having to end up in a shelter if NONE of the owners spayed or neutered their animals? According to the Oxford-Lafayette Humane Society’s website (oxfordpets.com), “ On average 25% of owned pets have not been spayed or neutered (dog owners 34%; and cat owners 15%).” I know that some of you may think that 25% is a relatively low figure. But consider how many households we have here in this country. Bear in mind that the percentages I quoted did not, I repeat, did not reflect if the owners had more than one pet. 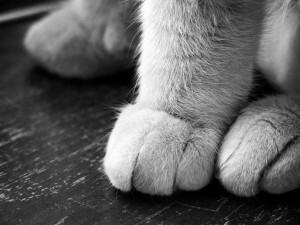 The same website provided the following statistics: Average number of litters a fertile cat can produce in one year: 3. Average number of kittens in a feline litter: 4–6. One female cat and her offspring can theoretically produce 420,000 cats in 7 years. Average number of litters a fertile dog can produce in one year: 2. Average number of puppies in a canine litter: 6–10. One female dog and her offspring can theoretically produce 67,000 dogs in 6 years. Average cost of spaying or neutering a pet is less than the cost of raising a litter of puppies or kittens. On average it costs U.S. taxpayers approximately $100 to capture, house, feed, and eventually euthanize every homeless animal. To further drive my point home, let me give you guys a list of benefits that spaying or neutering will bring; courtesy of operationpets.org: Your spayed female won’t go into heat. Unneutered cats mark their territory by spraying strong-smelling urine. Your male dog won’t need to roam away from home. Your pet will live a longer, healthier life. Spaying a female helps prevent pyometra (pus-filled uterus). Spaying a female helps prevent breast cancer, which is often fatal. Neutering a male prevents testicular cancer and prostate diseases. Your pet will be much better behaved. And for the naysayers who say it is too costly to do this: the facility you go to may offer a line of credit; thus enabling you to make affordable payments. If for some reason that will not work for you, there are many many places that can offer you no-to-low-cost services. In other words, there really is no excuse for you, at least financially, to do so. Also, look at how much you can save in medical expenses, and possibly obedience training. I’d like to point out something else that can and does contribute to overcrowding; puppy and kitten mills. People who breed and breed and breed their animals to make a profit. I’m not saying there is anything wrong with trying to make money; especially in this economy, but this creates the potential for overcrowding. One big reason: animals are often bought as a gift for a loved one; especially when it comes to kids. Now, the potential for neglect is always there; but you have to factor in that the “gift” may be unwanted. And I think by now we all know what this leads to. What everything I pointed out leads to. It can all lead to the scenario I outlined in the very beginning of this article. Do you really want to be one of those who consigns and innocent, trusting, voiceless animal to that fate? Jade Miramontes was born at Osan AFB in Taejon, South Korea. She came here to the U.S in February of 1980, and has been in California ever since. Jade has had a love affair with writing and literature since she was a young child; and won several creative writing awards. In her Freshman year of High School, her College Level English teacher awarded her for Excellent Writing and Literary Analysis. She has always excelled in writing. In Spring 2010 she enrolled in a Journalism Class at her college, and feel in love with it. Needless to say, she has found her calling. She is a Blogger/ Reporter for the Yuba Community College Prospector, a Staff Columnnist for FCN, and a freelancer for PubKicks and Suite101. She specializes in Political Commentary, and she is not afraid to express her opinion. You may reach Ms. Miramontes at Prospector.Jmiramontes@gmail.com.